Students enrolled in RELG 363, American Catholicism conducted individual interviews of select women religious (Catholic sisters and nuns) as part of their coursework and wrote papers on the major takeaways from these women. The most unique and intriguing findings from each interview were selected, refined, and written into short documents as part of a project to encapsulate the wisdom of women religious in the United States. The women religious interviewed were from all over the United States and had spent their lives doing all kinds of work, from education to health care to activism and beyond. They are worldly women, frequently well-traveled and internationally connected. 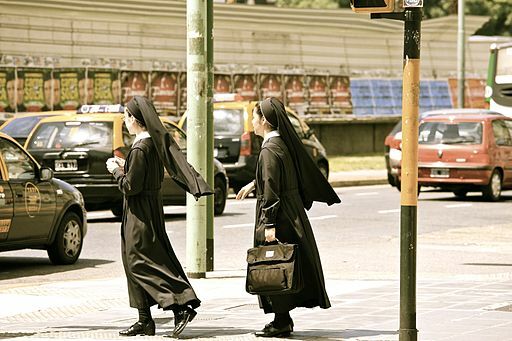 Some wear a traditional habit that identifies them as a sister to anyone who sees them in it; most do not, and cite a variety of reasons for leaving the habit behind. One can quickly discern from reading just a few of these papers that there is no "typical" woman religious - the only thing all these women have in common is the desire to serve God through a vowed life of simplicity. To protect their privacy, pseudonyms are used to identify these women religious, and the names of their congregations and places of residence have been changed or withheld. We focus instead on their insights, their struggles, and the unique perspective they have on the world as Catholic women who have taken a less common path.